SHAWNEE, Kan. — It's a tough task for firefighters, but one they have to tackle in a matter of minutes. That's why the Shawnee Fire Department is training for a mass casualty crash. "If we have an accident like this, we're going to utilize a lot of resources," said Battalion Chief Darrin Nelson of the Shawnee Fire Department. 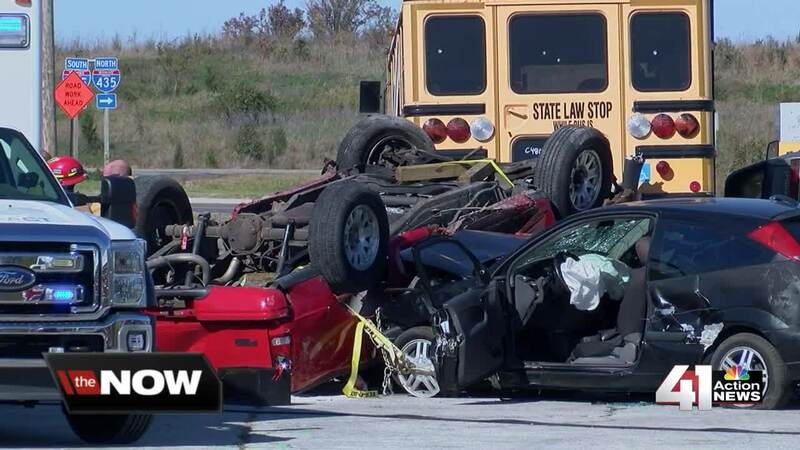 This week, firefighters are working a mock crash involving five vehicles and a school bus. While Nelson said this type of scenario doesn't happen every day, it's one firefighters always have to be prepared for. "Something this intense, we don't do it as often as we'd like to. We call this our high-risk/low-frequency type of event," said Nelson. "Each time we do a training like this and even an actual event, it's a tool for the tool box," said Nelson.